Peter Castellana III, Peter Castellana Jr. and Castellana Foundation, along with Western Beef are pleased to support the New Horizons Organization in operation since 1976 conducting retreats and conferences reaching out to young people. The organizations is dedicated to guiding and supporting children and young adults to live a christian life in a non- Christian world. The event that is being raised for is a Two Week Summer Camp. This camp is a 2 week sleep- away activity for campers ages 6-16 as well as an LIT Program Training future leaders among youth 16-20. Many of our campers also return to serve as Board members of the organization and productive member of the society. Peter Castellana III, Peter Castellana Jr. and Castellana Foundation, along with Western Beef are pleased to support The Heeling Soles Inc. Heeling Soles Inc is a non-profit organization that is determine and dedicated to helping humanity and building a global “Come in Unity of Hope” through providing clothes, shoes and other support through community out reach programs and events. The mission is to inspire other to make a change in their lives and enable other to walk paths through a brighter future. The event Come in Unity- Community Family Day is about bringing the whole community together and providing a positive impact on the families served, additionally it brings about community awareness and promotes a safe, family friendly environment & neighborhoods to live, work and play in. 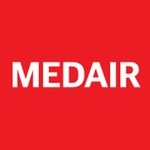 Peter Castellana III, Peter Castellana Jr. and Castellana Foundation, along with Western Beef are pleased to support Medair Emergency Relief and Recovery with a donation of $1,000. Medair helps support vulnerable people with solutions that immediately reduce suffering and also have a long term impact. Not only do they feed these children in need but they also educate the mothers and caregivers about nutrition and hygiene practices, giving them the tools to help their families and communities for years to come. Peter Castellana III, Peter Castellana Jr. and Castellana Foundation, along with Western Beef are pleased to support the Iglesia Pentecostal. The Iglesia Pentecostal serves families who are in need with groceries in the community. Peter Castellana III, Peter Castellana Jr. and Castellana Foundation, along with Western Beef are pleased to donate $500 to Family Promise Union Country. The Family Promise Union Country helps homeless and low- income families achieve sustainable independence. A Program that runs by family promise, a national non- profit with a network of more than 200 affiliates in 42 states. The donation will be used to support the graduated families, who have secured safe housing, but remain economically fragile and continue to rely on the resources that the program provides to achieve their goals.